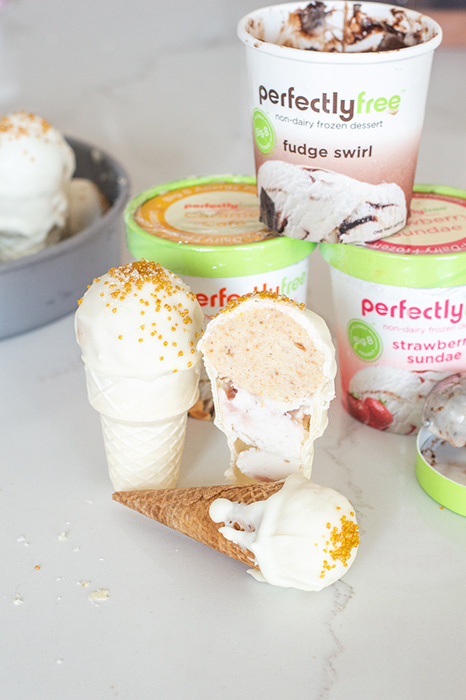 Ice Cream and Cake, and Cones… Oh My! Sometimes you’re in the mood for all of the desserts and it’s so tempting not to eat them all. Do you go with sweet, refreshing ice cream in a crunchy cone? How about a nice piece of some homemade cake, or a petite cake pop alternative? It can really turn into a difficult dilemma. Luckily, creative minds inspired by creamy, non-dairy ice cream have created a solution: homemade ice cream cake pops! These frozen desserts make great additions to any freezer. They are gluten-free, big 8 allergen-friendly, and vegan optional. 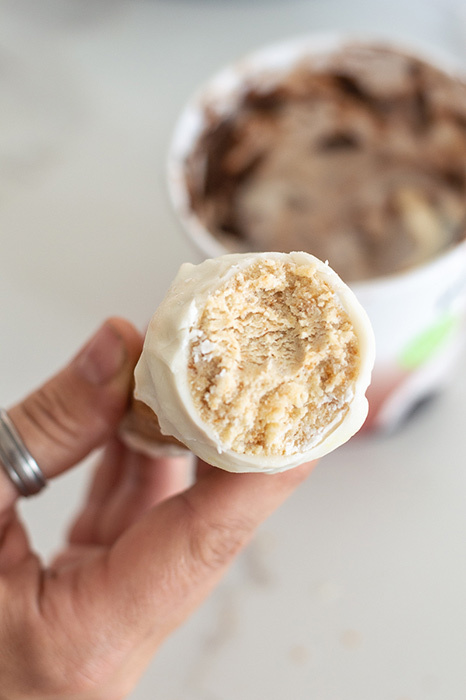 From the fun “Pinterest worthy” recipe creation process, to the first sweet bite of victory – these homemade ice cream cake pops are absolutely epic. Created by the talented This Vivacious Life, you know they’re 100% gluten-free and decked out in gold sprinkles! 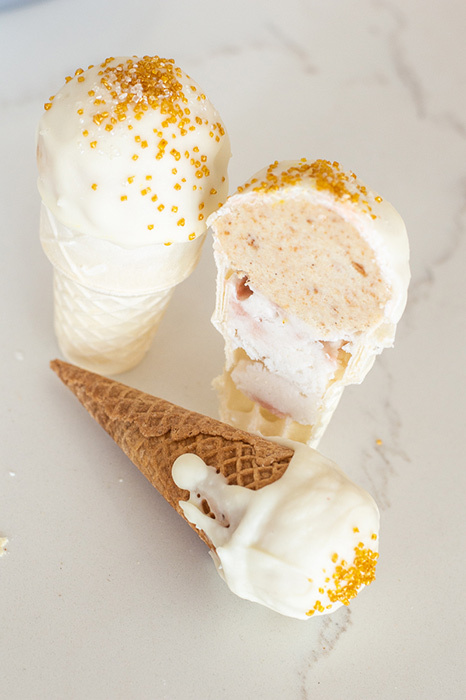 This Homemade Ice Cream Cake Pops Recipe made with perfectlyfree® non-dairy ice cream has quickly made its way to our bookmarked pages. “What could be better than cake and ice cream in a white chocolate dipped cone?” asked This Vivacious Life. “These gluten-free ice cream cake pops are going to be your kids new favorite treat!” Truthfully, we couldn’t agree more. These dangerously crave worthy treats are meeting all of our dessert needs. Any one of our non-dairy ice cream flavors make the perfect addition to these unique ice cream cake pops. We love the idea of creating these on a rainy day, for a fun night spent in, or even for your next family party! Regardless of the occasion, these homemade ice cream cake pops offer a tasty solution to nearly any dessert craving. And yes, your next Netflix binge counts as an occasional, too.